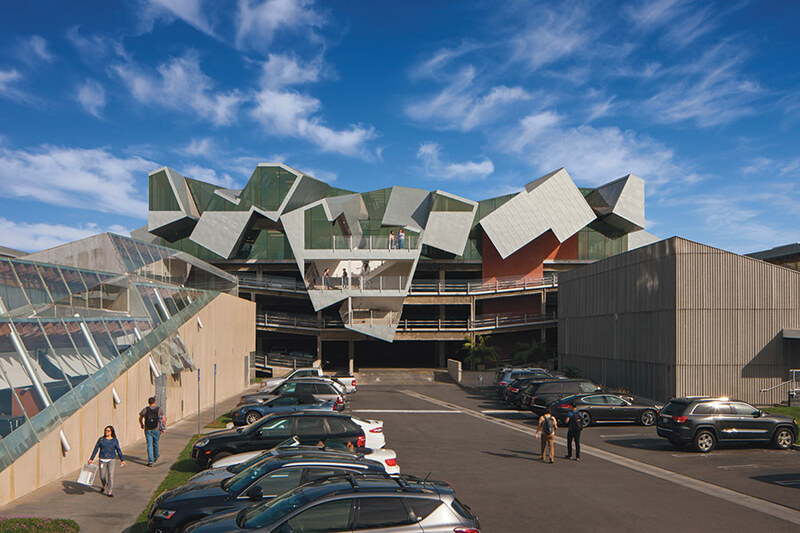 Designed by Eric Owen Moss Architects, Pterodactyl was completed in spring 2015. Perched atop an existing four level parking garage, the 16,663-square-foot building is formed by the intersection of nine rectangular boxes that are lifted one level above the garage roof and stacked either on top of or adjacent to each other. 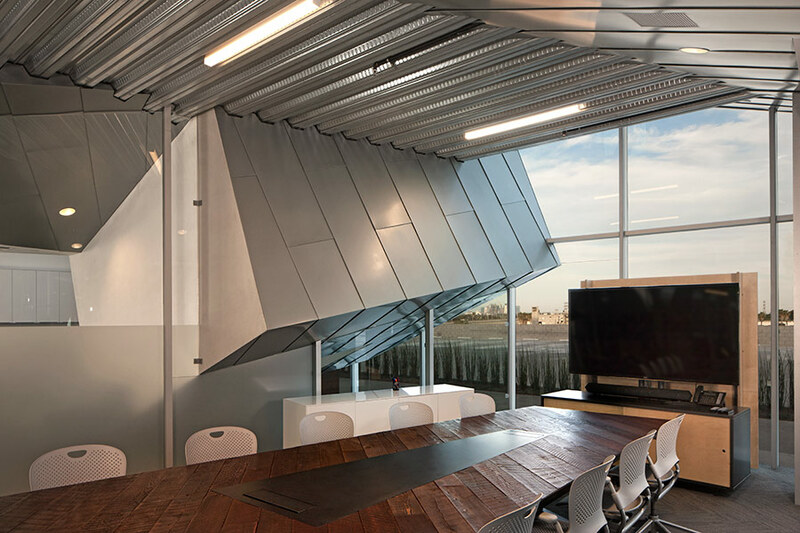 The boxes organize essential program elements connected by an interior second floor bridge. The undersides of the boxes are cut out to accommodate an open plan on the main office floor below. The facade is clad in more than 19,000 square feet of Rheinzink prePATINA blue-grey Flat Lock panels. In addition, approximately 3,600 square feet of the panels were used in a low-slope roof application. “We like to use a relatively small palette of materials,” said Raul Garcia, project architect with Eric Owen Moss. “That really helps create the dramatic space because it allows the focus to be on the form, and the spatial aspects that the form creates.